server infrastructure however that is transparent to everyone who connects to vrmlworld.net. 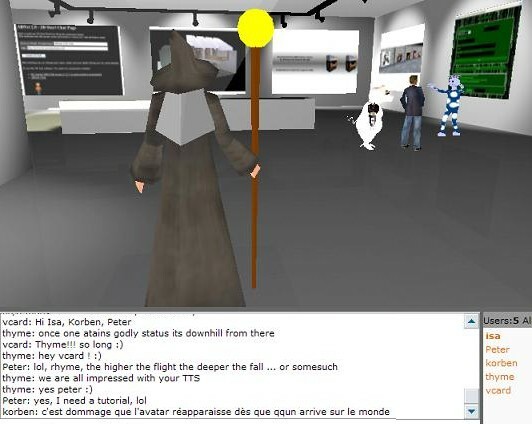 They use the dhtml from his server and use the chat/world server at vrmlworld.net. 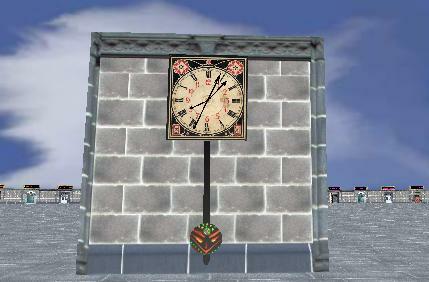 When did you start to work on VRML ? I think it was back in 1997-98 when I was doing a post graduation and searching for a way to involve and motivate a group of students to a Project. It was being developed at a high school in Lisbon, Portugal, and we ended up creating a 3D model of the school campus. 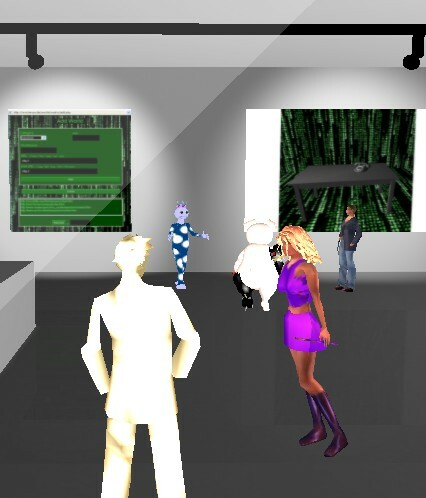 The next step was to jump into the model with the students using avatars. 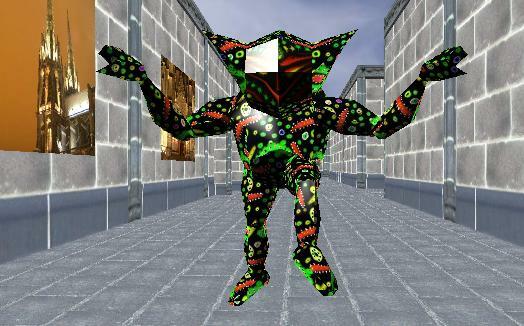 VRML/x3D was, and still is, the best way to do that using the Internet. The blaxxun free server and its client plugin provided all our multiuser needs and that technology was a must those days! How did you decide to build Grand Prix ? 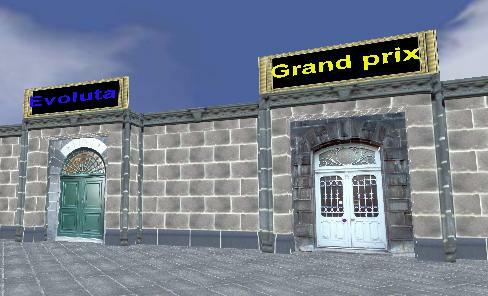 Grand prix was created around 2002-2003, to show my students how powerful VRML could be. At that time despite some exceptions, the majority of the objects and worlds available on the web had a very simple or too static nature. People used to think that this was not a powerful technology and some of my students, at Universidade Aberta of Portugal had that idea too. Motivation is a key aspect of learning, so I decided to build a dynamic world (similar to an online racing game) that could show some of the VRML potential: Grand Prix. 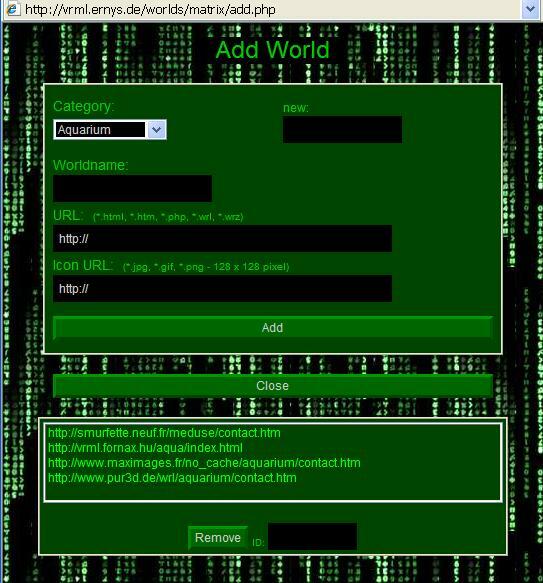 After I published the first versions working with blaxxun free server, some community fellows, Girlcard (Catarina Cardoso) and Djelle (Mogens Sorensen), offered to join and add their skills to the project. We ended up with a much better version than the original. Do you think the VRML/X3D is dead ? 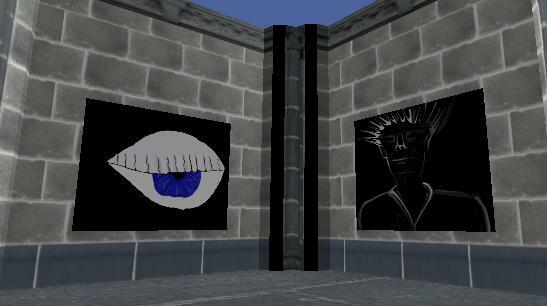 There are two aspects that need to be considered: the multiuser blaxxun related community, including blaxxun free server, CT, etc., and … the VRML/x3D technology itself. With the end of blaxxun company, the community was left in a agonizing state, yes! There are still several “private” baxxun servers working but it was somehow expected that with the announced end of a specific server technology the appeal to create worlds for it would disappear. People don’t like to “invest” time with what they think is a dead end. On the other side, the VRML/x3D technology itself, apart from blaxxun specifics, is now better than before. New commercial projects appeared (vivaty, exit reality, bitmanagement, etc. ), better tools to create content and well prepared 3D developers that are publishing for the Web. A 3D technology does not die in a 3D growing web as we are witnessing now. If you search for VRML/X3D models on the web you will find even more than before and surely … better and more professionally done. Nowadays, all sorts of organizations are delivering this type of content. One reason is the growing availability of 3D content which is now a “regular” content and almost everyone is producing it in some way. This is good news for all 3D technologies, including VRML/x3D. The other reason is technical: VRML/x3D is among the best and easy ways to deliver 3D content over the web, from small objects to moving worlds, stand alone or multiuser. Part of the merit goes to a notable group of good VRML/x3D client plugins (like bs contact, vivaty, cortona, …). Do you have some ideas to keep it alive ? 1- Initiatives: the community did not die completely. A group of people kept around. 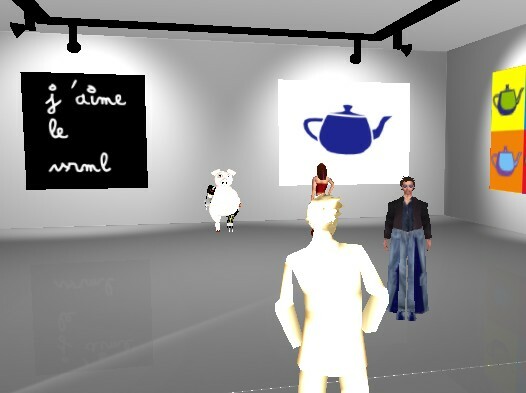 Some forums and web places like Web-3d.fr, VRMLworld.net (ABNet), Lutece, Seamless, Louize, Ravemonde, …, contributed to keeping us connected and promoted important initiatives for that goal; MixED 3D is one of them! Many more are needed. 2- Avatars: a community is made of people. In a 3D world people “are” avatars. For some people avatars are just a mere representation. For many others, the majority I believe, avatars are almost “the persona”, not just a mere representation. 3- e-commerce. VRML/x3D has been much more devoted to free play and education than to business, although that exists too. People should feel free and motivated to use free servers, and free communities for small e-commerce business, building their own 3d shop (3D object creation services, online commerce, etc.) Why not? Why not going to ABNet, for example, visiting a online museum, and buy a 3D object; or visit a 3D T-shirt shop and buying one. That should be very common, joining business with pleasure. I would like to see it done widely in free VRML/x3D servers too. Some professionally built worlds can bring quality and attract people to free servers. The word “free server” should mean that you are free to do business in there too. 4- Multiuser technology: of course, a good multiuser technology, free and easy to use is the other thing we need and my main (spare time) focus these last months. Blaxxun provided that and people want no less. 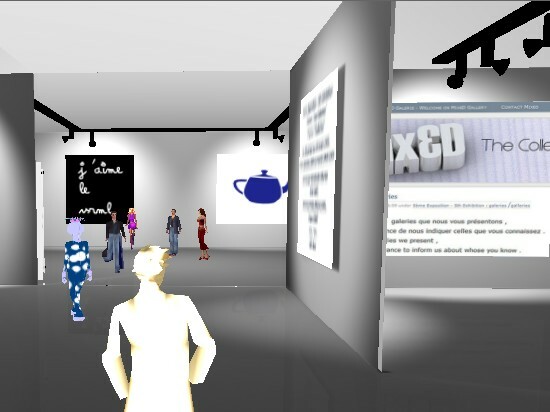 VRML/x3D is a free technology and needs a good and free server so people can share their worlds online in a uncompromised way. You can make what you want with it (communities, commercial places, whatever) but at minimum it must be possible to share a world in a site without the need for a registration (that demotivates the occasional user). Why did you choose to work with ABNET ? The end of blaxxun instead of killing the technology gave a chance to other server builders. It’s now a time to create and test new alternatives. Blaxxun was, somehow, a shadow over other promising developments (ABnet, VR4All). People used to accept Blaxxun’s flaws (yes, quite a few, crashes, etc.) and lived with it. It was a faithful group then and only some of us have tried the alternatives. Although not a commercial server (blaxxun platform was a very expensive plataform indeed) technically ABNet2 is a more stable, free and evolving platform, than Blaxxun was. Has all the main Blaxxun features (even shared events) and is also simple to use. Rick Kimball is a great programmer, ABNet is not a kids work. You are facing a very serious system. Nevertheless, like blaxxun (or even more) it’s very simple to build up multiuser worlds and run them informally! Indeed, ABNet carries the blaxx legacy inside and all time bxx users feel very “at home” here. What is the Odisseia interface, “vcard’s interface”, and how it will evolve ? 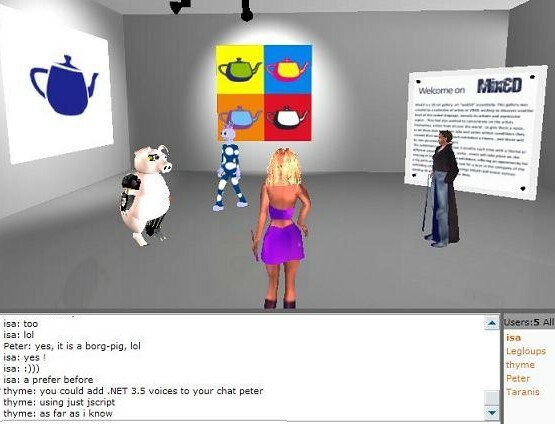 The success of collaboration in this phase of the Web 2.0 moving towards Web 3D, as was in Web 1.0, is due to the user friendliness of the collaboration tools (blogs, wikis and forums, 3D chat). It is really easy, rewarding and motivating, for the standard user, to participate regularly in Web communities, to blog and share content. That should apply to multiuser worlds too. We should note that the reasons for an instant success of a web system are: user oriented (including stability, features, etc. ), simple and free. “vcard’s interface” was initially made for personal test and use (me and my students) and was so well accepted by rick that gradually become the “official ABNet2 interface” which makes me very glad. Presently the availability of several systems is good for the technology and is motivating the creation again. 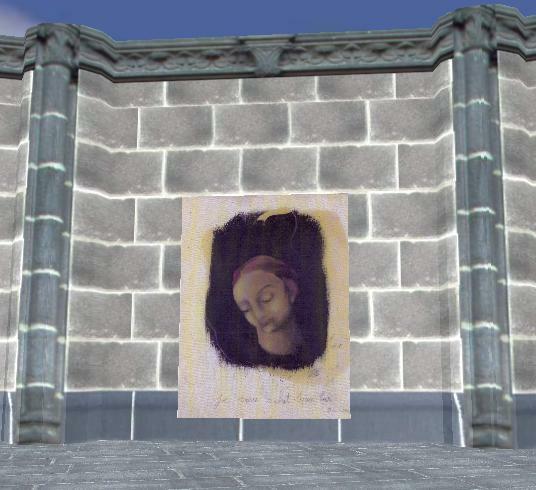 But it’s also desirable to join efforts in keeping the community together while favoring the existence and development of several VRML/x3D based systems. One way to do that is, in my point of view the existence of a common list of worlds that are being visited in each moment. 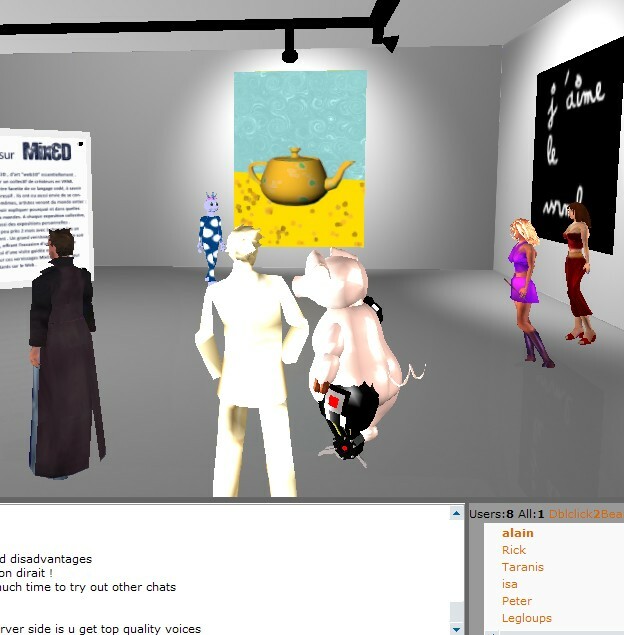 For 3D chat systems that share the same 3D plugin (bs contact or any other in the future) and the specific chat plugin is free (or even not needed for some actual chats like N3DME) the existence of a common list makes it possible for the user to move easily from one system to another and remain in the community. That way more systems enlarge the community instead of shrinking it. world … Some sorted in the same time by the plugin used. - Why do you used the thema way ? but indeed , for instance , Matrix and Dom Wetzlar are very different . - What do you think about realistic aims with web3D ? say - to contemporary art ? Do you feel 3D brings its own soul ? - Is , on other words , “3D” offering a new way to watch or know the LIFE ? 2010 and with too less sun. customers , we could say. - Does it works ? 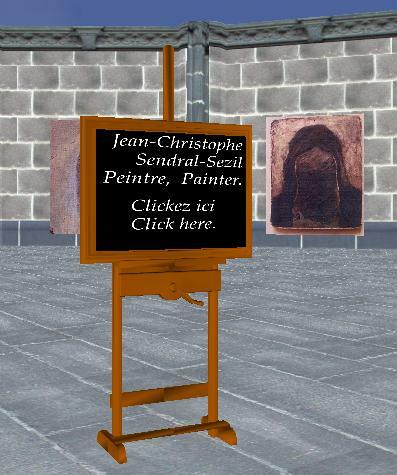 - Is it , for your point of view the best part of the WEB , interactivity ? the world participate in your creation. 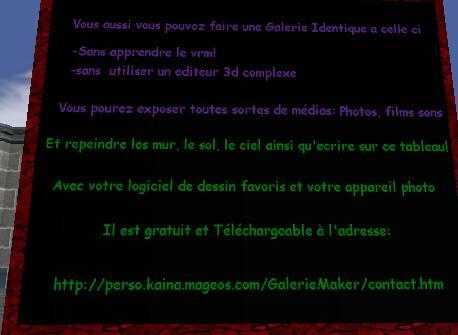 infos et des images dans ses galeries . 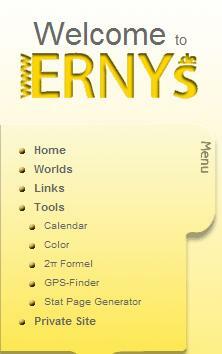 links ,infos and images in cyber galleries . - Quelques questions sur l’interactivité que tu offrais aux builders . Est-ce une façon “politique” que tu avais choisie pour rendre les gens actifs ? Moins consommateurs si l’on peut dire . - Il semblait que cela marchait quand blaxxun était actif . Beaucoup de personnes sont venues sur tes mondes mettre des liens et des images . Penses-tu que la meilleure part du WEB est l’interactivité ? - Est-ce que GaleryMaker était utilisé par un nombre conséquent de gens ? - Non si mes comptes sont bon personne ne l’utilise! - Tu maintiens ( et merci ) tes liens en en ligne . Est-ce que tout ce travail est pour toi du passé ? - Depuis que Blaxxun est out , as -tu cherché une ou des alternatives ? - oui mais ça m’em…..je prefere creer! Quel est maintenant la meilleur alternative ? 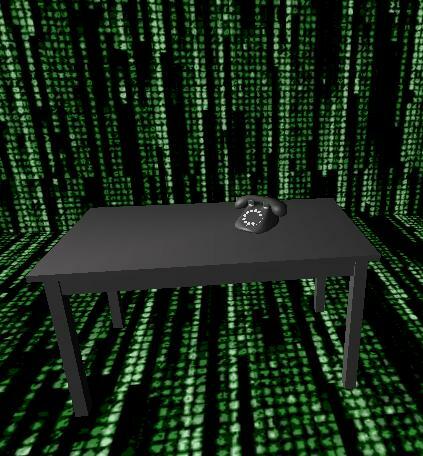 - Beaucoup de plateformes de chat 3D ont vu le jour , t’y interesses-tu ? - Je la regarde pas, qui peut faire ou a un topo la dessus ? Je pense qu’elle a un futur. - T’es tu lancé dans d’autres programmations que nous ne connaissons pas ? - Commentaire de MixED : quelques réponses à venir de notre part . - Some questions about the interactiv maner you offered to builders . customers , we could say . went to your worlds , adding stuff . Is it , for your point of view the best part of the WEB , interactivity ? - Was GaleryMaker used by people ? - I f I am right noone use it ! - You let your links online ( and thanx ) . Is it just past for you ? - Nowadays yes , who could let me know how to adapt all that to actual systems ? - Since Blaxxun is out , did you searche alternatives ? - Yes but it bores me , I prefer to create ! Witch is the best alternative now ? - Many 3D platforms were bornt , are you interested ? - No , technic bores me . - How you see the situation for VRML , presently ? as it some future , in your opinion ? - I dont look at the situation , who could resume it for me ? - Did you beagan some programmation we don’t know ? - Parapente … I explore the 3 Dimention .